A new Twitter account opened on Friday to reveal that Yoshinobu Akita ‘s Sorcerous Stabber Orphen ( Majutsushi Orphen Haguretabi ) light novel series is inspiring two stage plays. The first play will run at Shinjukumura LIVE in Tokyo from August 15-18, and the second play will run at Rikkōkai Hall in Tokyo from November 7-12. The first play will be based on the series’ first light novel titled Wa ga Yobigoe ni Kotae yo Kemono (Heed My Call, Beast!). Takehiro Yoshida is writing the scripts, and Ichidai Matsuda is directing the plays. The stage plays and new television anime are commemorating the novels’ 25th anniversary. The anime will premiere in 2019. 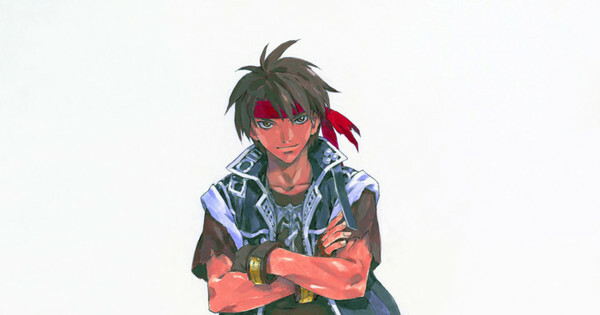 Showtaro Morikubo will reprise the role of Orphen from previous anime and video games in the franchise . Muraji launched a three-part manga adaptation in 2016 under the titles Sorcerous Stabber Orphen Heed My Call, Beast! ( Majutsushi Orphen Hagure Tabi: Wa ga Yobigoe ni Kotae yo, Kemono ), Majutsushi Orphen Haguretabi – Wa ga Mei ni Shitagae Doll , and Majutsushi Orphen Haguretabi – Wa ga Mune de Nemure Bōrei (Sorcerous Stabber Orphen: The Ghost Sleeping on my Chest). Kadokawa published all five manga volumes for the series. Seven Seas Entertainment has licensed the first of the three manga.